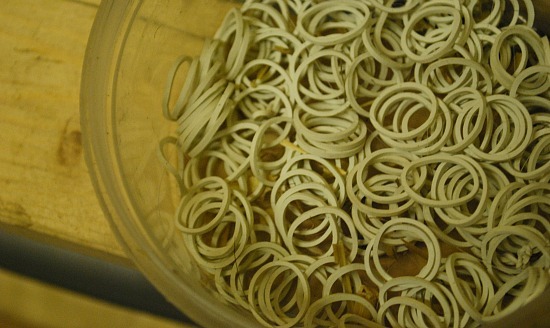 Plaiting elastic bands in a suitable colour for your horses mane and the discipline you are using them for. A short toothed pulling comb. 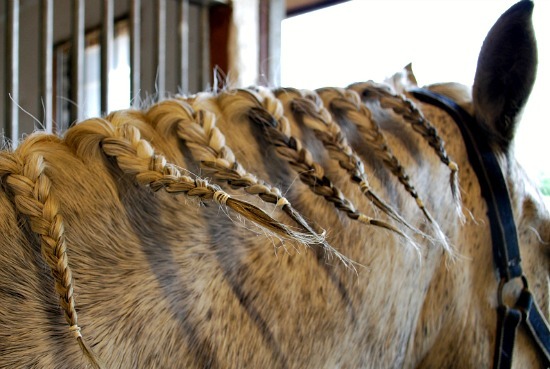 There are many ways you can choose to plait your horses mane. You may need to do this for certain showing classes, to simply keep your horses mane out the way when show jumping or for dressage purposes. 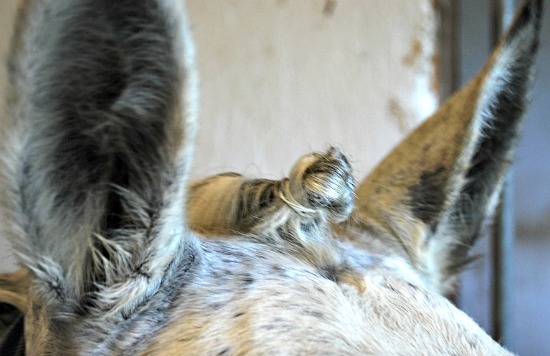 This is how I plait my horses mane – as he’s a native I only tend to do so for dressage classes. Divide the mane into chunks. I do this by measuring a length of about two thirds of the short toothed pulling comb and then popping an elastic band around it. I do this all the way down the mane. I then go back to the head of the horse. I take off the elastic band, comb through the hair and then divide into three. I then plait the hair downward – this will help you when you come to putting it into the knot. When the plait is complete I secure it with an elastic band. This process is repeated down the mane. When that’s complete I then fold the plait up into a button/knot. This is done by tucking the end under and then folding up – the number of times depends on the length and thickness of the mane – I usually fold mine about twice. You will be left with a tiny little bun. This is then secured with another band. 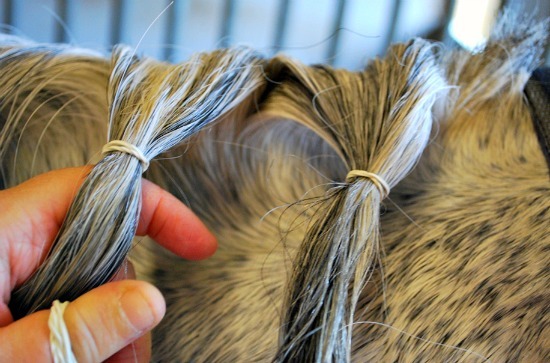 You can also secure the plaits with a needle and thread – I’ve never attempted this as I like the method above. When you get to the forelock ideally you need to get in front of the horses head. Some find this confusing but with practice they will start to understand what’s going on. Brush the forelock down then take a small piece of hair from the middle and plait it just once, then start working in bits from the outside like you would a French plait. When you get to the bottom and all the hair is included secure it with a band. You then tuck then end under the plait and secure with another band leaving a tidy looking button at the front. For a competition your mane needs to be clean, however try to get it clean the day before and DON’T put any show conditioner on it. 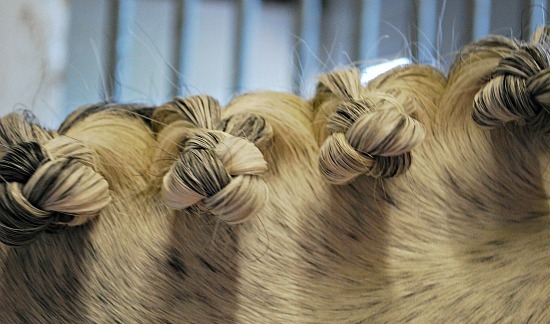 If the horses hair is too clean and glossy the plaits have a tendency to slip out. For advice on plaiting a tail for dressage see our dedicated Tail Plaiting page. Thanks soo much now i can plait a horses mane In time for a show!